Congratulations are in order! 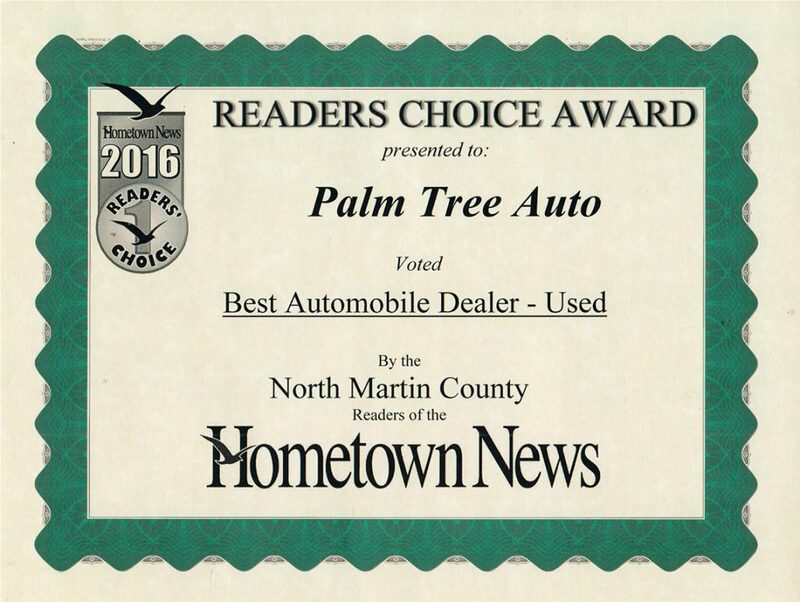 Palm Tree Auto Sales has been voted the Best Automobile Dealer - Used by the Hometown News! This is a completely unexpected, but absolutley welcomed honor. We are so happy to have made such an impact on our community here in Martin County that folks literally wrote in our name as their vote. Thank you so much to everyone that voted! We are proud to be a part of this community and we look forward to many more years to come.